Lo Lo Ma. Sounds like Yo Yo Ma or a Chinese lullaby. Well in fact it's an idea of creating a "6th borough" in New York City off the tip of Manhattan. The proposal comes from a group of graduate students at Columbia University's Graduate School of Architecture, Planning, and Preservation (and Real Estate) (GSAPP). Through a collaboration of architecture and real estate development students, they propose extending Manhattan south beyond the Financial District. The idea would address two NYC challenges: lack of real estate in Manhattan, and vulnerability to large tropical storms and hurricanes like 2011's Hurricane Irene. Most news reports here and here and from NY Times, have concentrated on the ambitious nature of the proposal, it's immense real estate and office opportunities, and the shear novelty of a 6th borough. WNYC's Brian Lehrer Show (an equivalent show to KQED's Forum), discussed the environmental elements and the implications to Governors Island. The project would help protect Manhattan to storm surges and even sea level rise by using dredge from the harbor and creating a land bridge from Manhattan to Governors Island as well as barrier islands further south into the harbor. Full disclosure, Urban Life Signs attended the same school at Columbia University in the Urban Planning department. What we wonder is, how would such a proposal affect the current plans for Governors Island, which is hoped to become a new parkland in the harbor. 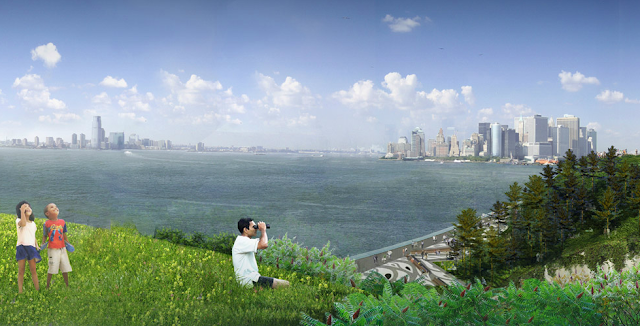 As you see the photo below, the Governors Island Plan would even have a hill added to the island. The genius element of the project is that it would all be paid through the real estate purchases of the new land. 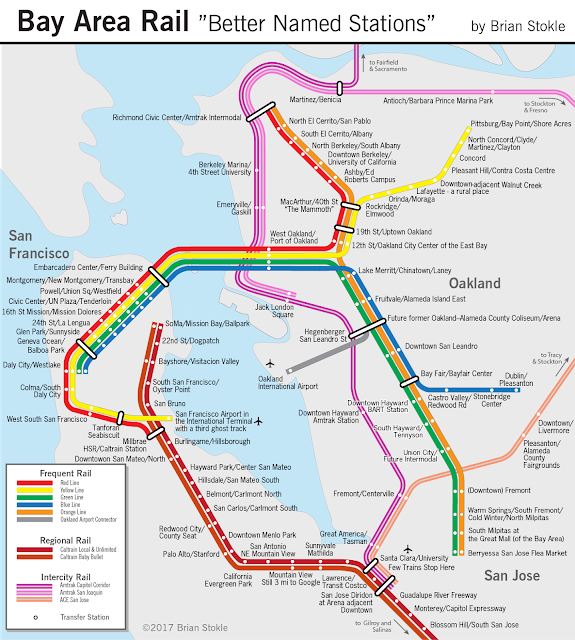 Subway extensions, bridges and the whole project would be paid by the real estate sales. Of course there are many complicated elements to putting this forward and deciding whether it would be a good idea. It also forces the discussion of how do we actually protect our existing cities, especially downtowns, in a world of sea level rise. 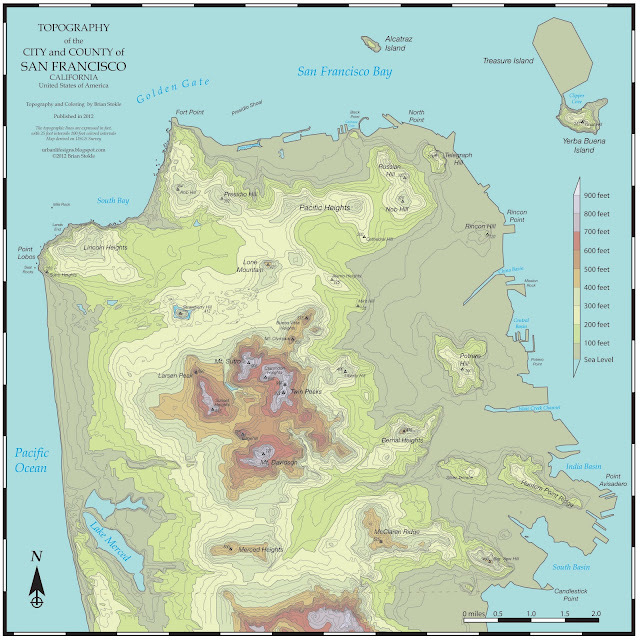 If the San Francisco Bay Area, the bay is now considered sacred. Might that attitude change when planning for sea level rise, or would we only consider adding to the bay once the Financial District was flooded 5 times in a year due to storm surges and sea level rise? We'll be keeping an eye on the Lo Lo-Ma or Lo Lo proposal and the Governors Island project as they progress.